RE: Testers wanted: Weather radar USA! Can't wait to have it available on other places on the map ! Thanks for the link, but well, I was just suggesting windyty.com to use this great map. 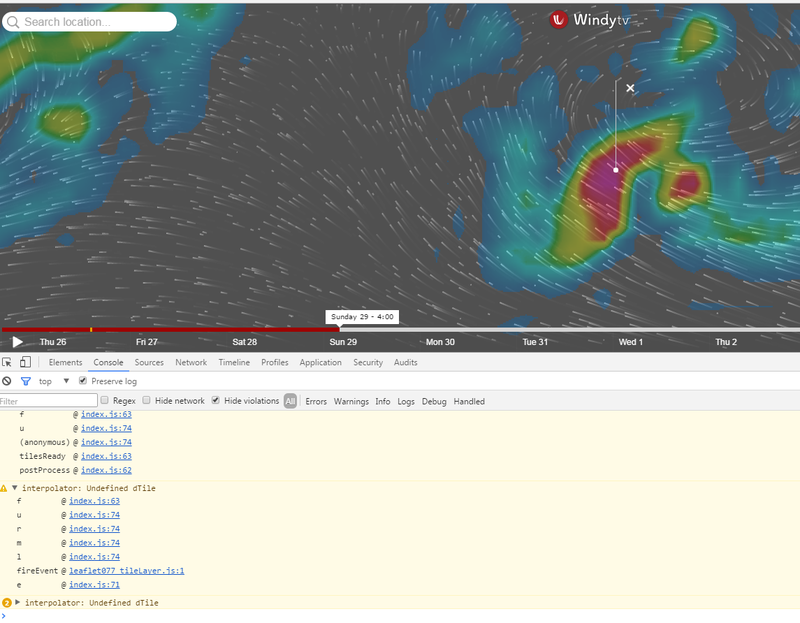 As for the XAlps page, no, they don't show much weather info, and no windyty.. Thanks again for this wonderful so useful website! 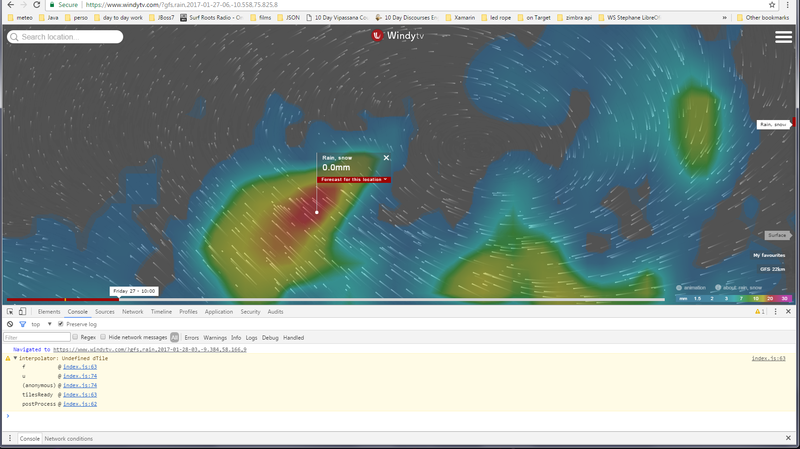 Following the Red Bull XAlps on their Live Tracking website (http://www.redbullxalps.com/live-tracking.html), was wondering if Windyty could use the same map. It is called "Outdooractive Summer map" and is packed with great info, including great contour lines.. Think it's possible to integrate such a map on Windyty ? Cheers guys, all the best. Looks like it's working better this morning. Good luck with that ! Raining season (monsoon like) is starting, gonna be rainy (and sometimes cyclonic) for the next 3 months. For windsurf / kitesurf, best is from May to Nov.
For paragliding from Oct to Jan.
And that's when the forecast doesn't even show (something appears in Console). First, congratulations and an enormous thank you for this awesome tool. The rain forecast is buggy when using GFS model: the map clearly shows rain accumulation but the click on the map shows either 0.0 mm or doesn't show the forecast at all.